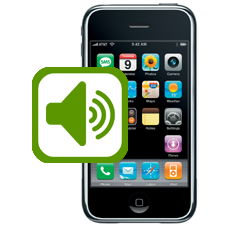 If your iPhone 3G is having issues when you answer a call on speaker phone, being the person on the other end can hear you, but you are unable to hear them. This in most cases is due to a faulty main speaker.Also if playing music through the main speaker, and nothing is heard then our expert iPhone technicians will be able to help by replacing your 3G speaker. *Please check for availability prior to ordering the Express service, especially during holiday periods. If you choose not to opt for our Express Repair 24 Hour Fast Track Service our normal repair turnaround times are 3- 10 working days. We always aim to complete repairs as fast as possible. This is an in-house Apple iPhone 3G repair service, when ordering this service you are required to ship your iPhone into our repair centre for works to be undertaken.